Our next Study Tours on Cuban Architecture and History will be from September 2014 to May 2015. The tours are open for registration, please contact Claus Zapffe. We have seven years of experience in organizing study tours to Cuba. In 2007, 2008 and 2009 we have co-organized the annual CEU Cuba study tours and Havana Harbour Charrette workshops, and since 2010 we have organized our own annual ESUA study tours. In total, we have had more than 120 participants at our Cuba events. 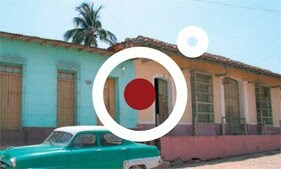 We are committed to continuously explore Cuba and the various project opportunities to be found there. If you are interested to learn more about our ongoing and future projects on Cuba, please contact Claus Zapffe.